I saw Rebecca Rachel post this competition held by Banana Moon Clothing over on her blog and I thought it was something fun to enter and YOU can enter too! It's official that summer is over, October is now here (which is just crazy!) and with that comes the start of a new university year. Having been at it for years or even just a few weeks, I'm sure you are getting the sense of which type of uni student you and the people around you are. And Banana Moon have made a little profile of each of the different types of people you may encounter at university. Sure! I'd love to say I'm the party animal, I've had more than my fair share of nights out in both Edinburgh AND Aberdeen , but when it comes to getting a good night sleep for an early lecture, I'm way too keen. So I'd hardly say I fit perfectly there.. The geek? This I'd say I fit in fairly well to.. I like to get a head start on my essay deadlines, and when it comes to tutorial work I like to have done a few of the readings at least. But am I "an expert in my field" ? FAR from it! As much as I like to show off to people who aren't on my course about what things I was learning or read, in reality I'm not at the top of the class, nor am I offering any answers during lectures. 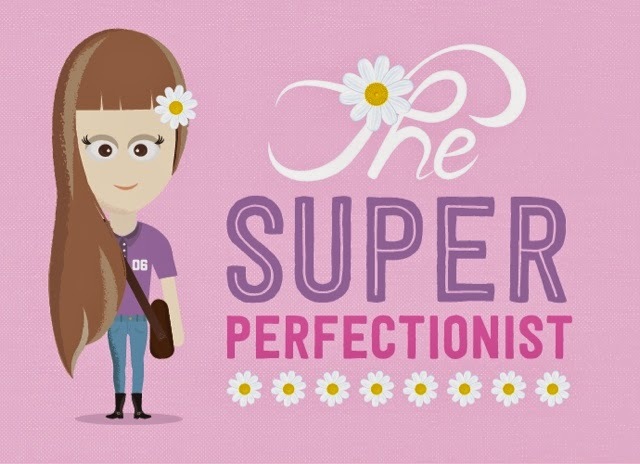 The category which I think I fit into most would be the perfectionist. YES I like to have my notes in order, and my desk neat for when I sit down to work, but surely that's not a bad thing? Cluttered work space = cluttered mind, they say.. And yes I like to have all my work handed in a couple of hours before the deadline, otherwise that's just unnecessary stress! Thinking about it, I think this is most definitely my category! Find out yours too, over on Banana Moon's Blog and have a shot at entering their competition too- it's open to anyone! Send me your links too, so I can find other perfectionists like me, or get tips from the rest of you!